Inconsistent results have been reported concerning the effect of tolvaptan treatment on long-term prognostic outcomes in patients with acute decompensated heart failure (ADHF) and data are limited on prognostic factors affecting this patient population. We investigated prognostic factors influencing long-term clinical outcomes in patients with ADHF treated with tolvaptan in a real-world setting. A total of 263 consecutive patients hospitalized for ADHF and treated with tolvaptan were retrospectively enrolled. The patients were stratified into those who developed the combined event of cardiac death or rehospitalization for worsening heart failure within 1 year (n = 108) and those who were free of this combined event within 1 year (n = 155). Adjusted multivariate Cox proportional hazards model revealed that change in serum sodium level between pre-treatment and 24 h after tolvaptan administration [hazard ratio (HR) 0.913, 95% confidence interval (CI) 0.841–0.989, p = 0.025] and the time taken for tolvaptan initiation from admission (HR 1.043, 95% CI 1.009–1.074, p = 0.015) were independent predictors of combined event occurrence within 1 year. 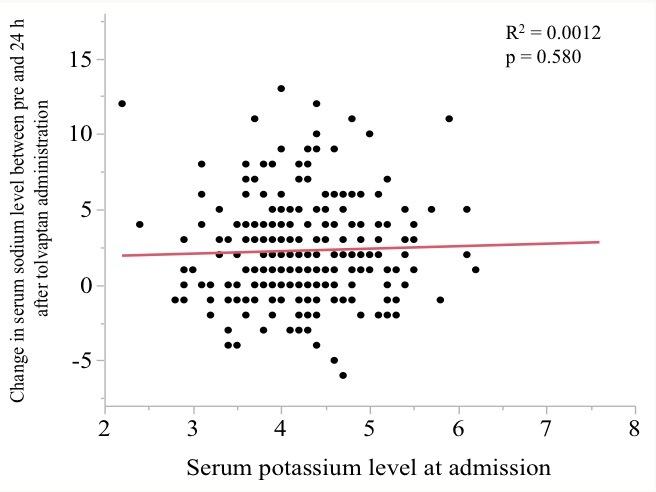 Moreover, change in serum sodium level > 1 mEq/L between pre-treatment and 24 h after administration and initiation of tolvaptan < 5 days after admission correlated significantly with the incidence of the combined event (log-rank test p = 0.003 and p = 0.002, respectively). 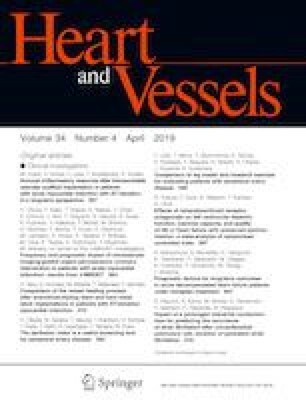 In conclusion, increased serum sodium level early after administration and early initiation of tolvaptan are possibly useful for assessing the long-term prognosis after tolvaptan treatment in patients with ADHF. The online version of this article ( https://doi.org/10.1007/s00380-018-1290-6) contains supplementary material, which is available to authorized users.